CloudZon with a decade of experience has successfully executed a wide range of ASP.Net web application development. 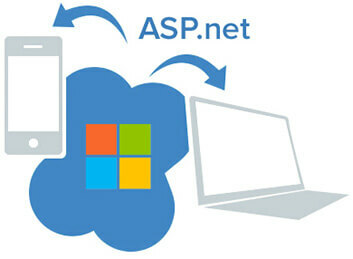 The increased number of Microsoft Certified Developers tunes us as the best ASP.Net Web Development company that provide services to all sized organizations, say, small, medium and large business organizations all over the world. Maintaining scalability, universal standards and performance in a better way, we use the most advanced tools and technologies for a better ASP.Net development. We are well-known for developing best quality, cost effective .Net web applications that provide a huge turnover for client business growth. Reduces the quantity of code to be used for building larger applications. Better performance level, easy maintenance, and advanced tools for websites and application. High scalability for websites and applications. Why is CloudZon being hired for ASP.Net development? CloudZon is comprised of skilled personnel who are well known for providing latest web development solutions that meet client’s requirements. By using the proven methodologies, we do analyze the project needs and offer the best solutions. CloudZon provides our best to meet our precious client requirements. Thus, we gain large numbers of satisfied clients. We are looking forward to satisfy you too within your budget.